Home > London 2012, Nikon 18-300	> More Photos of ‘The Hunter’ ..
More Photos of ‘The Hunter’ .. 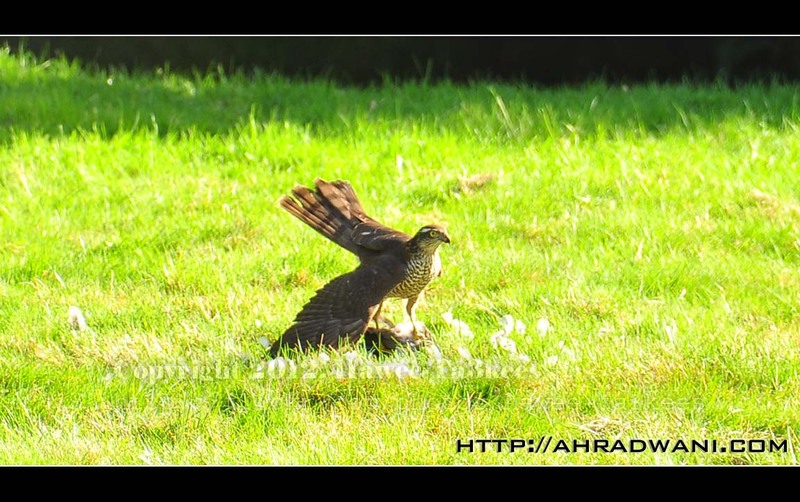 Here is another two shots of the Falcon and its prey, I keep taking pictures of the falcon and in one moment i move my eyes to check the photos on the camera screen just five second was enough for the bird to take the prey and disappear. 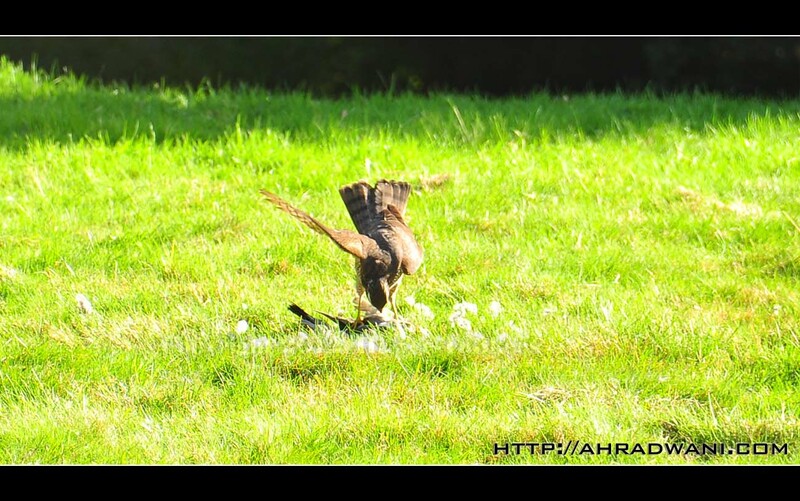 In this photo; it is really busy in eatting..
And here, i think it cover the prey and looking around to make sure no body watching it..